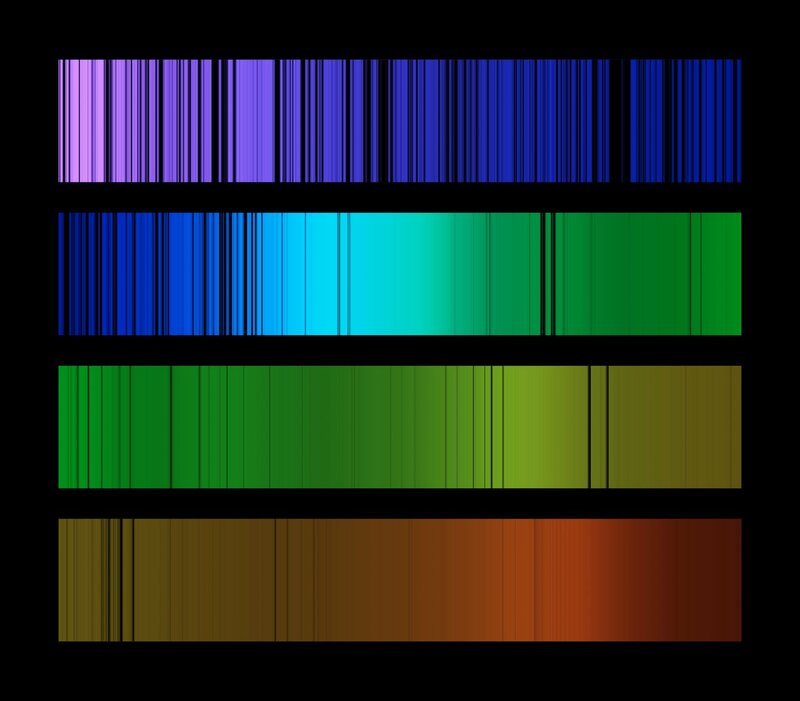 After doing the Build a Spectrograph and Use your Spectrograph activities your students can use real spectra lines to determine what makes up three mystery stars. Develop and use a model to describe that waves are reflected, absorbed, or transmitted through various materials. Develop and use a model to describe the structure of waves and how they are reflected, absorbed, or transmitted through various materials. Your students have now been introduced to spectrographs and how spectrographs allows scientists to identify what is creating a light’s source. In the real world astronomers compare the results they get from their spectrographic data with laboratory measurements of known spectra. Through doing this they learn a lot about bodies in our universe. In this activity students act as scientists to determine what mystery spectra are composed of. This activity will not take very long. We suggest you use the PowerPoint or videos to reinforce the concepts about light and spectroscopy beforehand. · Give each student a Lab Sheet. · Let them work individually or in groups to determine what is in each mystery spectra. · Discuss the answers students found as a group. This PowerPoint is edited for a middle school audience from an excellent PowerPoint created by the Stanford Solar Center. Overall how would you rate this lesson? How can we make this a better lesson plan/ activity?